Want to jump into the travel industry, but don’t have experience? Cruise Planners is the place for you. Read on to learn more and see if you qualify for a special discount program. 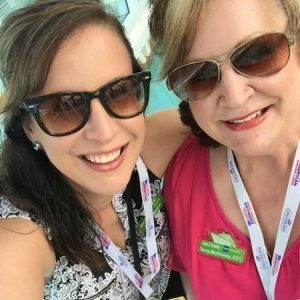 Cruise Planners travel advisors, Terry McKinney and Andrea Mickan, from Magnolia, Texas, give us the scoop on how choosing Cruise Planners, an American Express Travel Representative, changed their lives. Terry McKinney worked in the legal industry for 25 years before deciding she wanted to take control of her own career and stop working for someone else. Terry went into business as a Cruise Planners franchise owner in 2011 and never looked back. 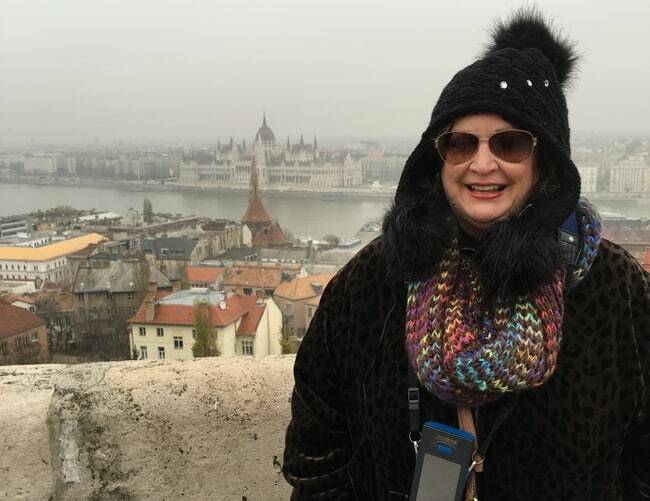 She quickly found her niche in romance travel and her very own travel franchise was off and running. Yes! Travel agents continue to exist for a simple reason: they can find the best vacation through a powerful series of travel connections for an incredible value, making travelers’ lives easier and vacations more enjoyable. With Cruise Planners’ extensive list of preferred partnerships, selecting the perfect getaway for travelers is easy, manageable and all around beneficial for the clients. Travel advisors continue to prevail because they have the ability to create the ultimate valuable travel experience for their clients. What is it like being a travel agent from home? Before Andrea Mickan joined her mother’s growing franchise business, she worked a 9-to-5 job in corporate America. “Having the flexibility to set my own hours, work with my mom and travel the world together or with our clients is life changing,” she said. As a travel agency franchise owner, you will be your own boss and set the pace for your business. With Cruise Planners’ marketing and technology platforms and automated tools, you can work remotely from anywhere you have internet access, or any device, whenever you want. Do I actually get to travel as a travel professional? Definitely! Cruise Planners travel professionals gain just as much experience as their clients and even more. Travel advisors have the opportunity to partake in Familiarization trips, Cruise Planners Annual Convention, seminars and Elite Summit trips. With the many travel opportunities that are offered with Cruise Planners, travel agents will be able to explore luxury cruises and preferred land destinations through Cruise Planners’ partnerships. As a travel advisor, what can you offer your clients? Cruise Planners’ travel advisors not only plan cruise vacations, but they also book all-inclusive resort packages, customized land trips, escorted tours as well as additional amenities such as airfare, transfers, and activities. They even provide advice on tourism destinations. Travel professionals put in a lot of effort to personalize a travel experience that fits all their clients’ needs. Terry prioritizes getting to know her clients by sitting and talking to them one-on-one to match the correct product with their desires. “Our clients provide us with their input, and we provide the solution, and we make their vacation dreams come true,” said Terry. This is a commission-based job, and with Cruise Planners, you’ll earn the highest commission in the industry. Travel agents earn commissions from the travel suppliers which include the cruise lines, tour operators and travel consolidators, so your clients won’t have to pay any more to use your services. You can start out your travel business as a side hustle or go straight into working it part-time or full-time. You’ll grow your business at your own pace and may start making more money the more you sell. I’m not a salesperson, can I really be a travel advisor? While sales is a big part of being a travel advisor, having a passion for travel is even more important. 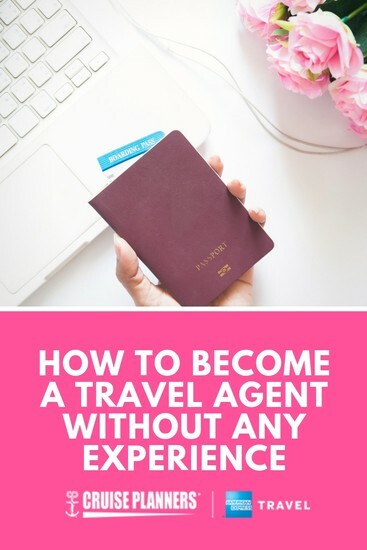 As a travel agent, you have the opportunity to travel the world, a flexible schedule, access to travel agent discounts and the ability to do what you love in a thriving industry. As Confucius famously states, “Choose a job you love, and you will never have to work a day in your life.” When you become a travel agent with Cruise Planners, the opportunity to provide a service to clients doesn’t feel like work. Using your passion for travel and helping others see the world isn’t a job, it’s changing your clients’ lives by providing them a once-in-a-lifetime experience they can’t get elsewhere. What support would I have access to as a new business owner? Cruise Planners travel advisors have endless training and support from the Business Development coaches and connections with the finest industry professionals. Entering this business as a new travel agent can be overwhelming, but with the right tools and a nurturing team, you can thrive in your business. Cruise Planners truly cares about the success of its agents and is always taking the initiative to improve training, technology, and sales strategies. All agents know they can seek guidance from the Home Office Team when they hit a bump in the road. To learn more about becoming a Cruise Planners travel advisor and see if you qualify for a special discount program, click here. *Your individual results may vary. Your individual results depend on your individual efforts, level of experience in the travel industry, etc. Studies have shown if you like this blog post — you will also love the following article. 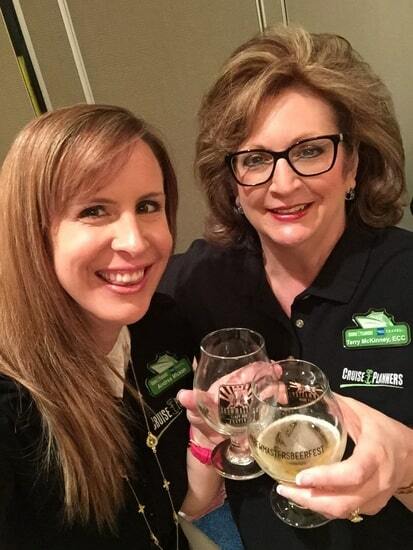 Cruise Planners Franchise Review: Want to Make Money in the Travel Industry?